These versatile and modern bowls create a fashionable table setting with their square design and carefully curved corners. Enhance your presentation with added sophistication and the convenience of a disposable. 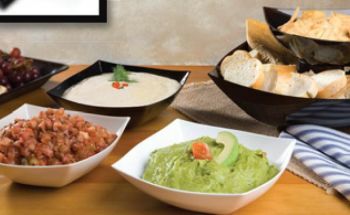 Durable square serving bowls are available in sizes from 32oz to 128oz. Squares brand serving bowls are stackable.